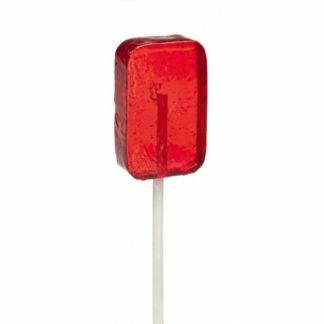 Real chili pepper infused hard candy suckers. 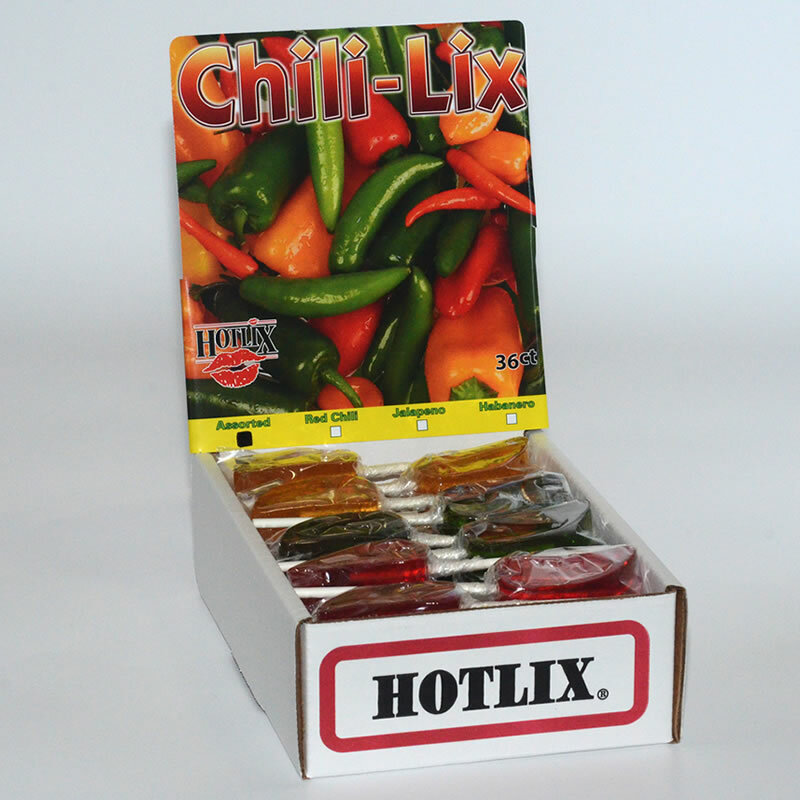 Offered in three flavors: red chili, jalapeno, or habanero. 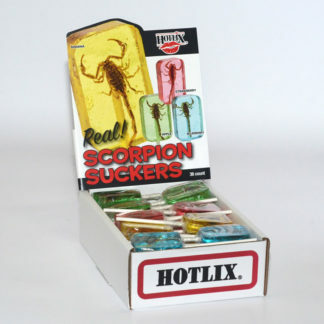 Available in individual boxes of each flavor or an assorted 36 count box.